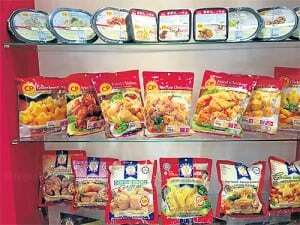 KUALA LUMPUR : Charoen Pokphand Holdings (M), the Malaysia-based unit of the Thai agricultural giant, plans to use Malaysia as its export hub for halal food and boost revenue from its food business to 50% within five years. At present, food contributes 15% of the company’s total revenue, said president Pratan Jongpun. “Malaysia has a strong reputation for halal food, which will help us increase our exports to several countries, especially those in the Middle East,” he said. In all countries CP has a presence in, the company’s business model focuses on both upstream and downstream businesses. Starting with its feed business when it entered Malaysia 40 years ago, the food business was first developed here 12 years ago. Food exports account for 13% of total sales, which stood at 1.6 billion baht last year. “We have a major opportunity to grow due to the increasing number of Muslim consumers who also have high incomes,” said Mr Pratan. Animal feed represents 45% of CP’s business, followed by chickens (40%) and food (15%), all of which are halal-certified by Malaysia and renewed on an annual basis. Last year, revenue for the whole company totalled 24 billion baht, a 10% growth from 2011. The company expects to grow by 12% this year. “Within the next five years, we target CP’s food business to increase its share of revenue to 50%, up from the current 15%,” Mr Pratan said, adding that the company has one food factory that processes chickens with guaranteed prices offered to 500 farmers. He said CP is the second-largest food manufacturer in Malaysia with a market share of 15%, following fast food giant KFC which has an 18% market share. Also cited as a leading player in the feed sector, CP employs a total of 4,700 staff including 470 Thais. The company has invested 700 million baht this year to set up a new feed mill in Johor Bahru in southern Malaysia. With a production capacity of 20,000 tonnes per month, construction is expected to be completed by September. This will increase total production of its four feed mills to 60,000 tonnes per month. “Food will become increasingly important in the future. Many countries need to think about whether or not current legislation needs to be adjusted, such as the issue with genetically modified organisms (GMOs). For instance, will there be enough food if we are against GMOs?” Mr Pratan asked. We would like to know more of your CP Products especially the chicken process food for Thailand. Kindly please send me email on my request. I am sorry we are only a media site and cannot get you the direct contact with the people in the article, you are going to have to track them down yourself in Malaysia. CP is well known in Thailand for foods product. 7/11 chain also under CP group, i am staying in Bangkok,Thailand and appreciated thats in your 7/11 there are some instant, fast foods with halal label. What’s dissappointed is those halal fastfood and ready to eat foods stake and mix with non halal products in the same rack and also share with the same microwave oven. This is against the requirements of halal procedure in Malaysia and other country. It is apply the same for hotel or restaurant kitchen which should perform seperately. Hope you could raise the matter to your management to look at the matter in your 7/11 chain and also CP fresh mart store.